With two lockdowns in less than two years, I think UT is need of some better news. 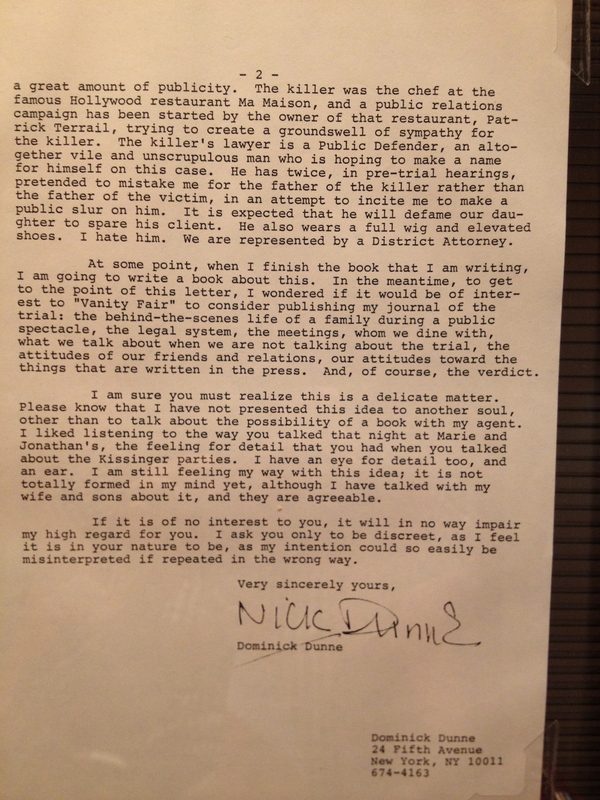 If you’re not spooked by setting foot on campus I recommend checking out “An Extraordinary Life: The Dominick Dunne Papers” at the Briscoe Center. Spending yesterday afternoon among Dunne’s papers was definitely one of the neatest things I’ve done while in Austin. Of course, a fan of Dunne’s work would feel that way. Yet it wasn’t until yesterday that I fully realized how much I enjoy his writing and therefore how much I miss him. 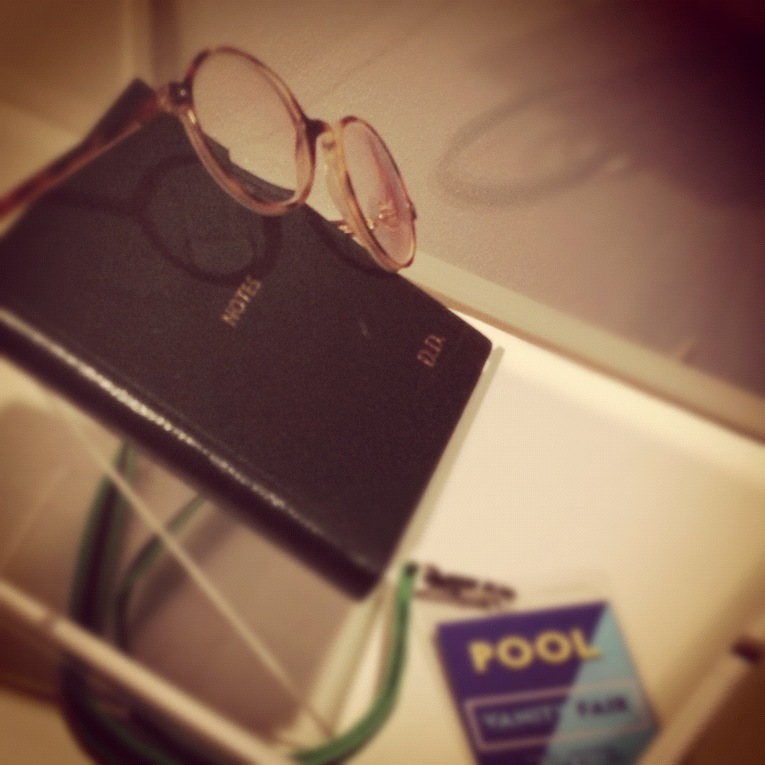 Coming face-to-face with his letters, drafts, and other ephemera was like visiting an old friend. I would’ve recognized his style of writing anywhere and I never realized how much I’ve internalized his words. I wouldn’t identify myself exclusively as a writer but I do my fair share of reading and writing. Without my realizing it, Dunne has become an enormous influence on my own writing and I still open each issue of VF searching for his column. 1. Any celebrity-writer worth his salt has a Diana moment. The wall text to this photo however sets this snap apart. 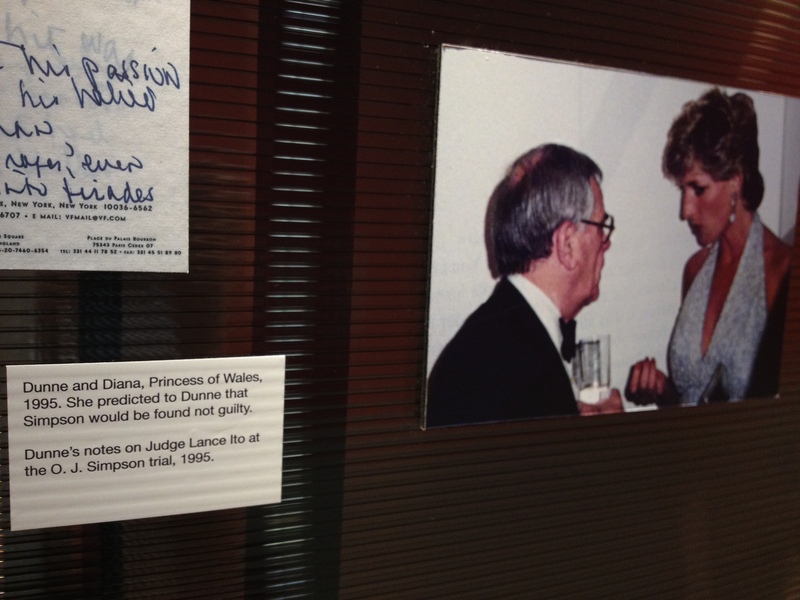 Apparently Diana “predicted to Dunne that [O.J.] Simpson would be found not guilty.” While wearing a halter top, folks. 3. Wall text: “Dunne is literally on the A-List. Unknown periodical clipping, ca. 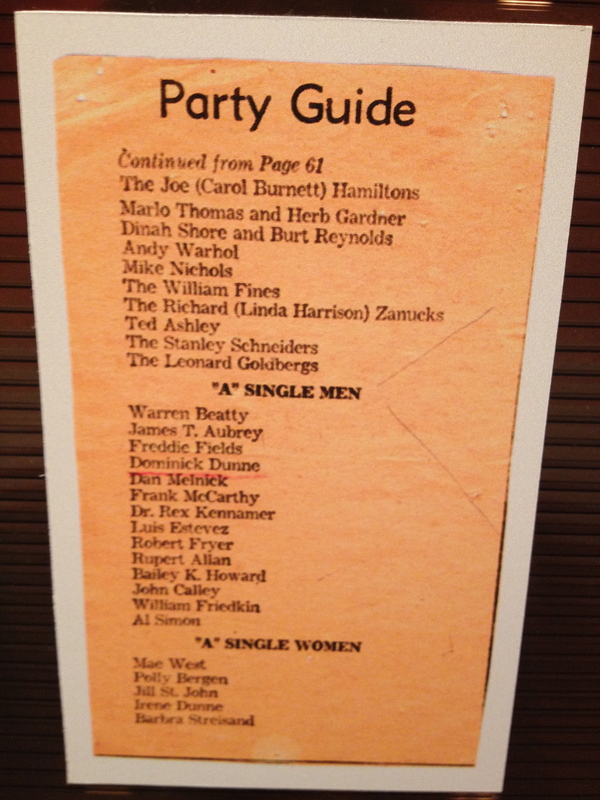 1960s.” I’m left wondering many things when it comes to this “Party Guide.” What was the category on Page 61 that included Andy Warhol among Marlo Thomas, Dinah Shore, and Burt Reynolds? Also, the “A” Single Men list doesn’t seem to square so well with the “A” Single Women. Mae West was in her 60s. 4. 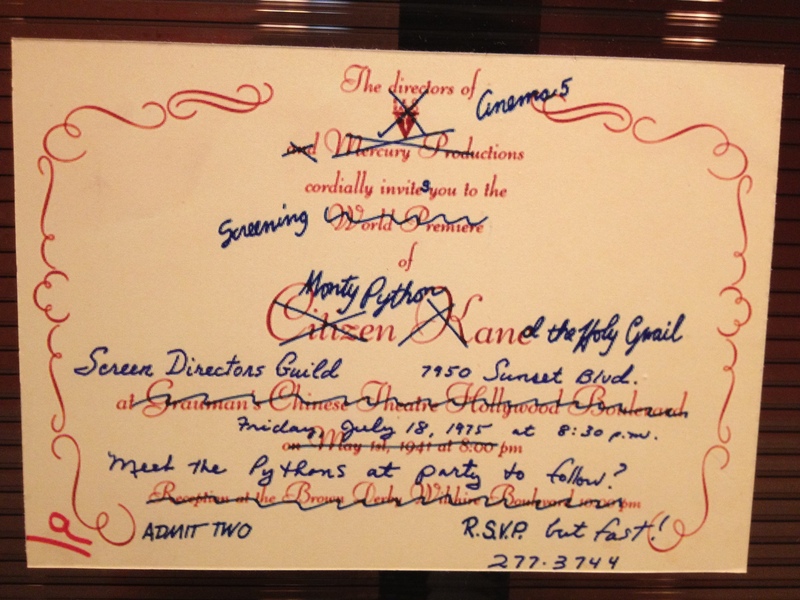 Dunne’s invitation to a Monty Python and the Holy Grail screening in 1975. During my time at UT I’ve been fortunate to delve into many archives, mostly at the Harry Ransom Center. Next to personal letters, random stuff has to be the best thing to come across in someone’s papers. This invitation meant something to Dunne and it’s still funny almost 30 years later.